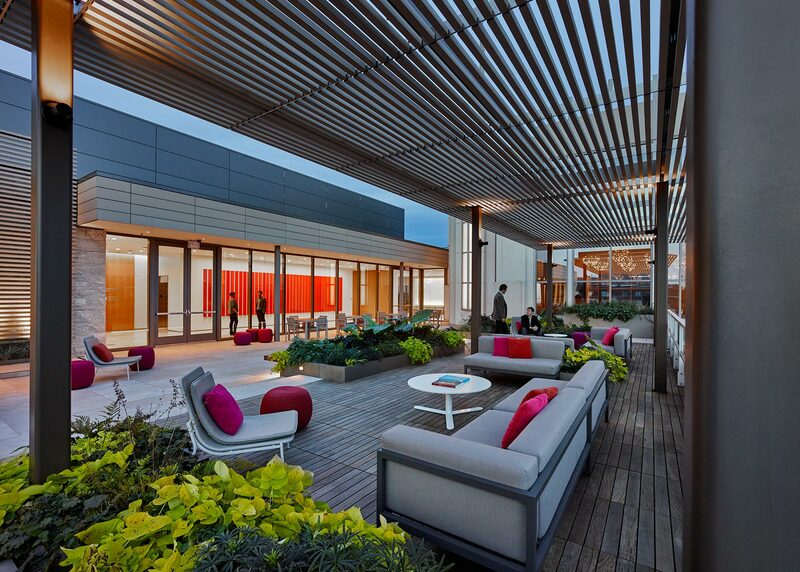 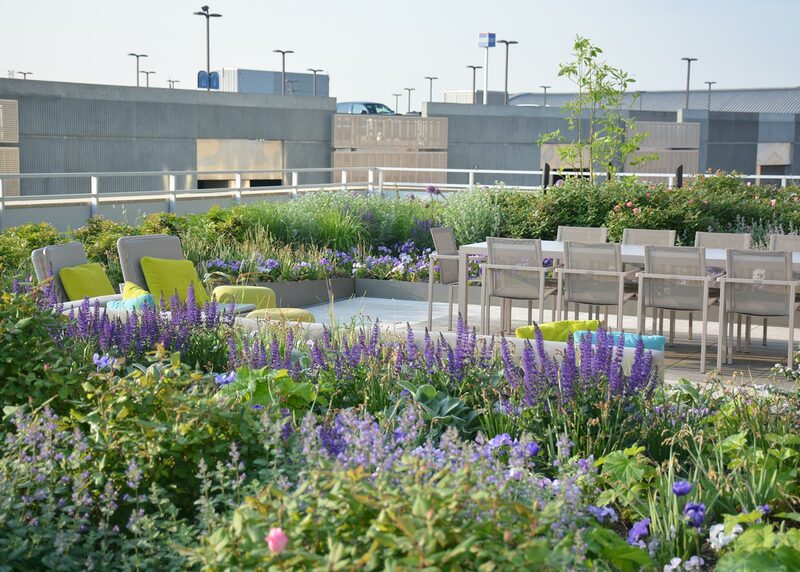 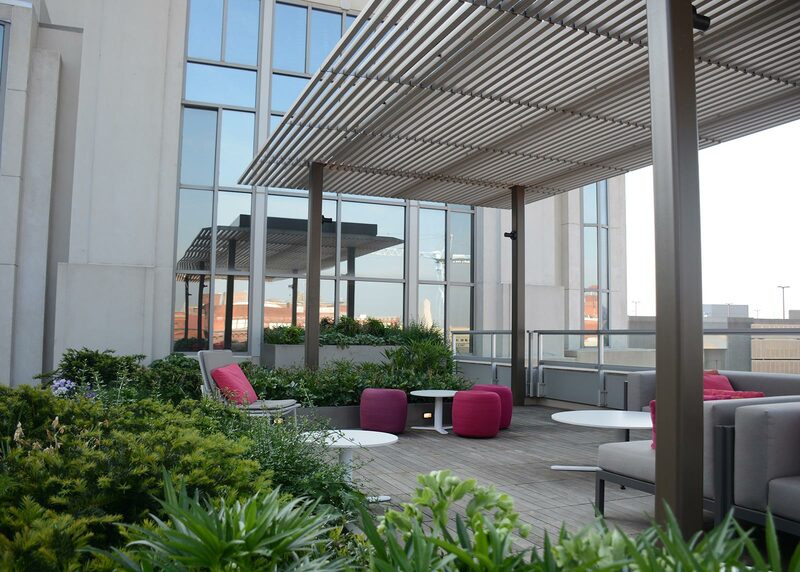 The roof terrace at the American Psychological Association’s headquarters was developed as part of the Association’s new event and meeting space, SPIRE. 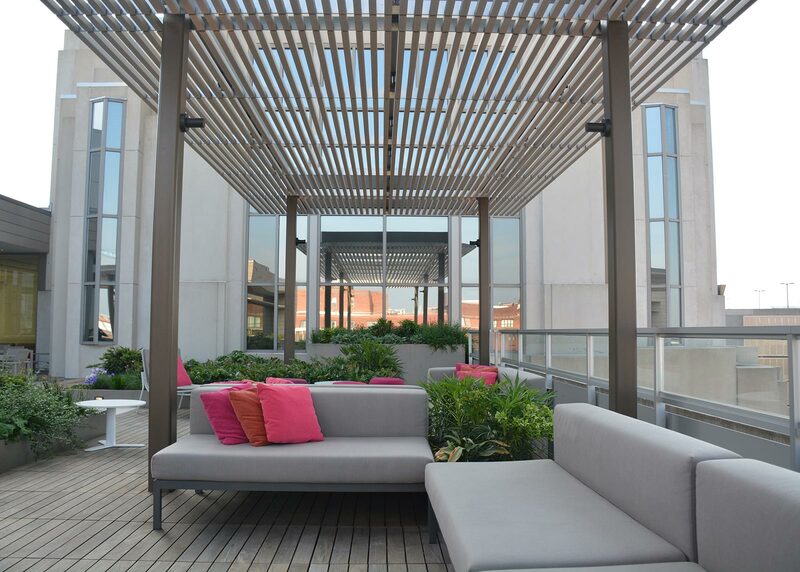 Two separate terraces provide flexible gathering spaces for groups of 100+ guests, and a smaller terrace allows for intimate gatherings and meetings. 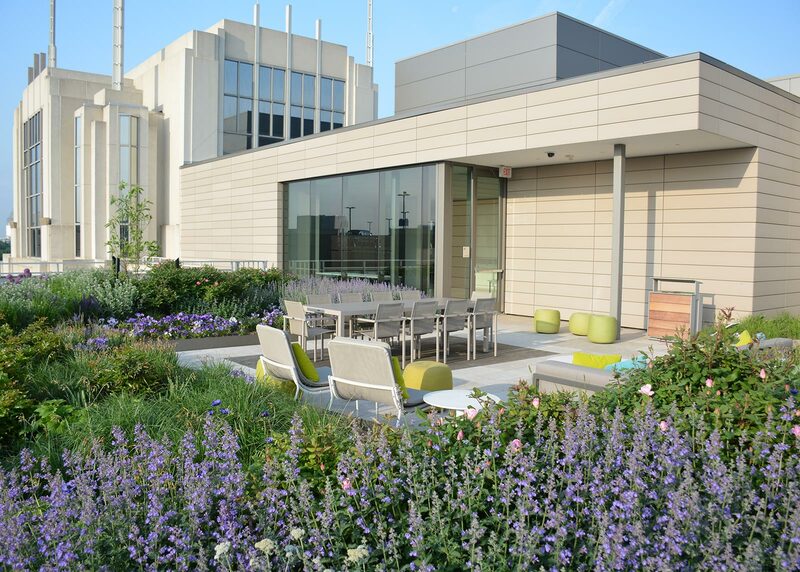 The focal point of the southern terrace is an unobstructed view of the United States Capitol dome. 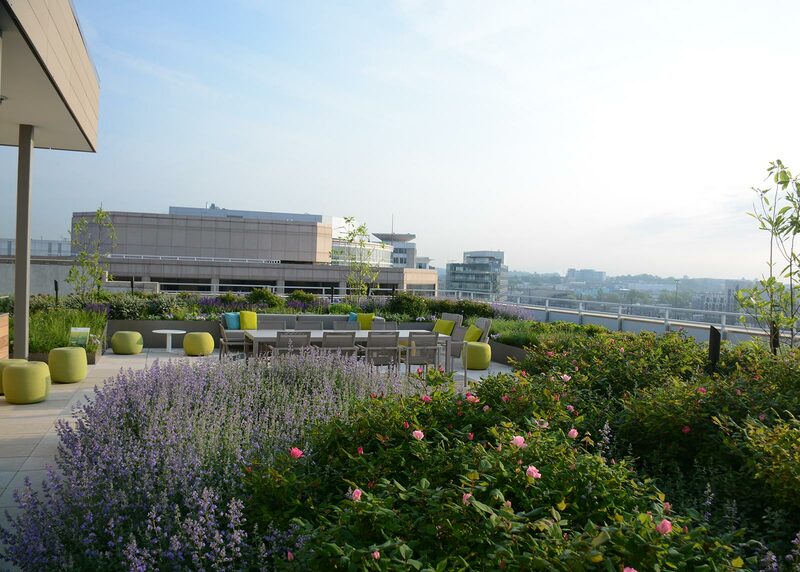 Each terrace includes intensive green roof plantings with large shrubs, trees, and plants that provide year round interest.